Sin Spins Casino is a brand new online casino, launched in early 2016. This is a UK focused casino but players from most other countries are obviously welcome as well. The brand name is a funny twist on the seven deadly sins and at Sin Spins Casino it’s all about the fun and excitement of online casino play; “give in to the little devil on your shoulder, and submit to the seven Playful Sins!”. Sin Spins Casino are powered by the ProgressPlay platform which has a very interesting group of casino games providers. The games portfolio offer some 450 online casino games supported on computer, mobile and tablet devices. Some of the most notable games providers on the Progressplay platform are 1×2 Gaming, ELK, Leander Games, Microgaming, NetEnt, NextGen, NYX Gaming, Quickspin, Rabcat and Thunderkick. So it’s safe to conclude that you will be able to find the best quality online casino games at Sin Spins Casino. Apart from the providers above, you can also enjoy games from 2by2, Chance Interactive, Big Time Gaming, Cryptologic, Genesis Gaming, Wagermill, iGaming2go and Lightning Box. Sin Spins Casino is so far only available in English but the casino accepts several different currencies such GBP, Euro, $AUD, $CAD and $USD. Their customer support is operating between 06:00 and 23:00 GMT. You can reach them by e-mail or live chat. Sin Spins Casino is operated by ProgressPlay Limited and licensed by the Malta Gaming Authority and the UK Gambling Commission. Sin Spins Casino: 100% up to £/€/$AUD/$CAD/$USD 200 + 25 Free Spins on Starburst (NetEnt)! When you join Sin Spins Casino you will be able to claim a welcome bonus on your first deposit. 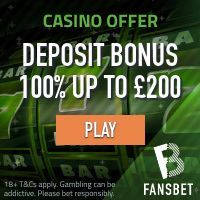 This bonus will have a 100% match on your deposit up to £/€/$AUD/$CAD/$USD 200. In addition to the match bonus you will also receive 25 free spins on the very popular NetEnt slot machine Starburst. The minimum deposit depends on which payment method you use. There is a 50 times wagering requirement on both the deposit bonus and any winnings derived from the 25 free spins. Sin Spins Casino always have the rewards in mind. If you are a loyal member you will gain access to a wide range of different bonus promotions. Some of the promotions that they are currently offering are the Weekly Suprise, Spin the Slots, Game of the Day, Monday Madness, Big Cash Weekend Race and Cashback Day. All transactions are processed in a safe environment, secured by the latest 128-bit SSL encryption technology. The payment methods that are available at Sin Spins Casino includes all major methods such as credit/debit cards, several different direct bank transfer solutions and a number of e-wallets like Neteller and Moneybookers Skrill. You can also use PayByPhone and fund your casino account using your mobile phone. Sin Spins Casino offer a great catalogue of video slots provided by some of the most successful game developers on the planet. These include NetEnt, Microgaming, ELK, Leander Games, Thunderkick, Quickspin and NYX Gaming just to mention a few. Some of the most popular slot machines are Blazing Goddess, Football Champions Cup, Aloha! Cluster Pays Touch, Dracula, Gonzo Quest and Guns N’ Roses.